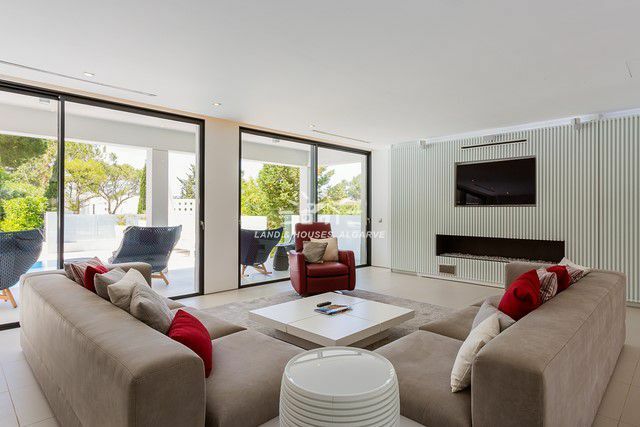 This beautifully refurbished villa has been brought up to date in a contemporary style to complement its architecture and the surroundings. 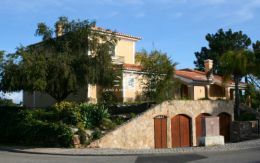 Set in a mature peaceful area, the property has an impressive entrance set back from the road. 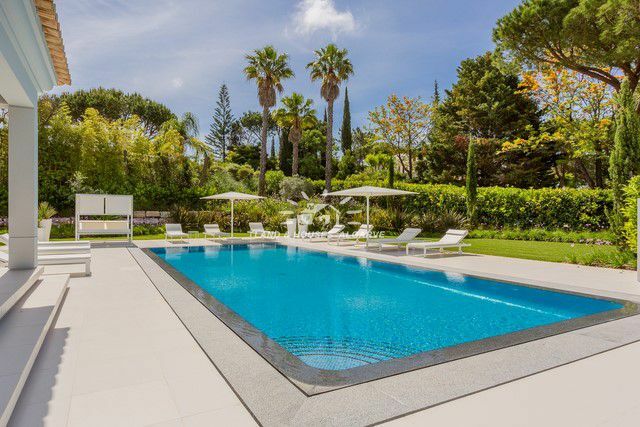 Upon entering the villa, there is immediately the sense of light and space with a large pool and entertainment area off the main living room, and an extremely large terrace and entertaining area to the rear of the house with outdoor kitchen and expansive lawned area. The modern kitchen is ideal for entertaining with its breakfast counter / bar top and all of the appliances required for preparing a delicious meal or the ultimate cocktail. Also on the ground floor there are two guest bedrooms, both en-suite with contemporary bathrooms, and access to the gardens and pool terrace. On the upper floor, there is another guest en-suite bedroom, and the spacious master suite, which overlooks the pool terrace and gardens. The basement level offers yet more accommodation and entertainment space, with a fully fitted cinema with reclining lounge chairs, open plan games room with pool table, gym area, and a 5th en-suite bedroom. 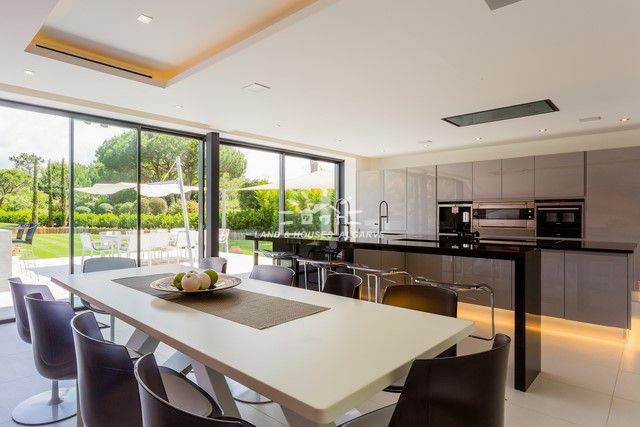 This villa is the perfect home for all year living, or an amazing entertainers dream with something for everyone, finished to the highest standards in a sought after part of the resort.